Hemorrhagic cystitis is defined by lower urinary tract symptoms that include hematuria and irritative voiding symptoms. It results from damage to the bladder's transitional epithelium and blood vessels by toxins, pathogens, radiation, drugs, or disease. Changes associated with irradiation cystitis, which developed after 7200cGy external beam radiation for localized prostate cancer. Patients who undergo bone marrow transplantation frequently have hemorrhagic cystitis because most are exposed to cyclophosphamide, total-body irradiation, or both. Patients with malignancies and those undergoing chemotherapy are often immunocompromised and are at high risk of acquiring bacterial and viral infections that can cause hemorrhagic cystitis. For patients receiving drugs or undergoing procedures that are known to cause hemorrhagic cystitis, prevention is essential. Two standard methods of preventing cyclophosphamide-related bladder toxicity are hyperhydration and mesna administration. Controversial methods include prophylactic bladder irrigation and hourly voiding. Physicians treating oncology patients must be aware of the possible preventive measures against hemorrhagic cystitis. Patients at high risk must be educated about the possibility of the development of hemorrhagic cystitis and the need for early intervention. For patient education information, see Blood in the Urine. 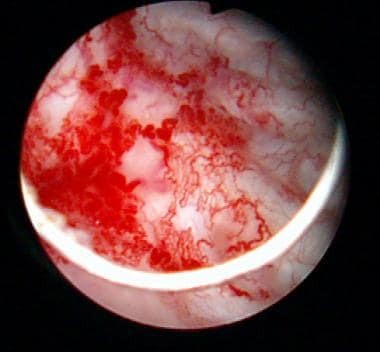 The bladder anatomy relevant to noninfectious hemorrhagic cystitis includes an appreciation of the layers from the lumen outward. The glycosaminoglycan (GAG) layer coats the inner surface over the transitional epithelium. Deep to this transitional epithelium, which is covered superficially by “umbrella” cells, the bladder submucosa with its microvasculature overlies the detrusor muscle, which is smooth muscle oriented in multiple directions to allow for uniform stretching and the storage of urine. A layer of fatty connective tissue surrounds most of the anterior and lateral bladder in the space of Retzius, while, posteriorly, the peritoneal serosal surface separates it from the cul-de-sac and abdominal cavity contents. In cases of chronic cystitis, neovascularity in the submucosal area is common and is presumably the site of acute hemorrhage. Ischemic changes related to endarteritis can lead to mucosal ulcerations and acute hemorrhage. Cyclophosphamide is the most common cause of hemorrhagic cystitis in the oncologic population. The urotoxicity observed with cyclophosphamide is due to its liver metabolite acrolein, which is excreted in the urine. Although the entire urothelium is at risk of urotoxicity, the bladder, which serves as a reservoir, is most frequently affected, because the contact time between acrolein and the urothelium is greatest at this site. Radiation-induced hemorrhagic cystitis is most common in patients receiving pelvic irradiation. Hematuria may develop acutely during radiation treatment or months to years later. The symptoms of radiation cystitis are caused by a microscopic progressive obliterative endarteritis that leads to mucosal ischemia. The ischemic bladder mucosa then ulcerates and bleeding ensues. Neovascular ingrowth to the damaged area, as shown in the images below, then occurs, causing the characteristic vascular blush on cystoscopic evaluation. The new vessels are more fragile and may leak (petechiae) with bladder distention, minor trauma, infection, or any mucosal irritation. Neovascularity associated with irradiation cystitis. When distended, these weak-walled vessels often rupture, resulting in submucosal hemorrhage and gross hematuria. Bladder neck neovascularity after radiation therapy (IMRT) for prostate cancer. Hemorrhagic cystitis has both infectious and noninfectious causes. Although the noninfectious causes of hemorrhagic cystitis vary, this condition most commonly develops as a complication of pelvic radiation or from toxicity related to the use of certain chemotherapeutic drugs (eg, cyclophosphamide, ifosfamide). Less commonly, exposure to certain industrial chemicals, such as aniline or toluidine derivatives, causes hemorrhagic cystitis. Nearly 25% of patients who undergo pelvic radiation develop bladder-related complications. Mucosal ischemia secondary to radiation injury results from endarteritis inducing hypoxic surface damage, ulceration, and bleeding. The incidence in the pediatric population is less than that in adults. Slightly less than 50% of these patients develop diffuse hematuria. Patients with radiation-induced hemorrhagic cystitis have usually undergone radiation therapy for cancer of the prostate, colon, cervix, or bladder. Urgency, frequency, dysuria, and stranguria may develop acutely during radiation or may begin months to years after completion of radiotherapy. The most common pharmacologic causes of hemorrhagic cystitis are the oxazaphosphorine-alkylating agents cyclophosphamide and ifosfamide. [11, 12, 13] Unfortunately, the toxicity of these drugs is not insignificant, and many of the adverse effects are urologic. Cyclophosphamide (Cytoxan) is used in the treatment of non-Hodgkin lymphoma (as part of the CHOP regimen) and breast cancer, as well as in steroid-resistant nephrotic syndrome, and as an orphan drug in systemic sclerosis. Specifically pediatric uses include juvenile idiopathic arthritis/vasculitis and systemic lupus erythematosus. The incidence of adverse urologic effects with cyclophosphamide varies from 2-40%, and the toxicity is dose-related. In pediatric patients, adverse effects are typically seen after oral doses greater than 90 g and intravenous doses greater than 18 g, and they occur more commonly in patients receiving intravenous treatment. Most cases of hemorrhagic cystitis in patients taking extended-spectrum penicillins have been reported in individuals with cystic fibrosis who had previously received penicillin antibiotics. The BK polyomavirus [54, 55, 56, 57, 58, 59, 60, 61, 62, 63, 64] and adenovirus types 7, 11, 34, and 35 [65, 66, 67, 68, 69, 70, 71, 72] have been the most commonly described viruses in these cases. Cytomegalovirus, [73, 74] JC virus,  and herpesviruses [34, 76, 77] have also been identified as causative agents in these scenarios. In the pediatric population, the species most commonly isolated is adenovirus type 11, which has a propensity for the urinary tract. It reactivates with profound immunosuppression. It is also the most common cause of hemorrhagic cystitis in the healthy child. Hemorrhagic cystitis occurs in up to 70% of patients exposed to high doses of cyclophosphamide or ifosfamide chemotherapy [80, 81, 82, 83] and in up to 15% of patients who undergo pelvic irradiation to treat malignancy. [5, 6, 7] In recent years, however, newer irradiation techniques have decreased the incidence of hemorrhagic cystitis to approximately 10% of treated patients. The incidence in the pediatric population is less than that in adults. In general, cystitis caused by exposure to chemotherapeutic drugs can be expected to resolve after discontinuation of the agent and treatment with irrigation/fulguration. Conversely, hemorrhagic cystitis due to pelvic radiation therapy tends to recur for months, or even years, after completion of radiotherapy. Seemingly minor events, such as urinary tract infection or bladder distention, may trigger florid hemorrhage. Close follow-up with periodic urinalysis and urine culture and sensitivity testing, along with aggressive management, may prevent recurrences. The prognosis in pediatric patients with hemorrhagic cystitis is related to successful treatment of their primary oncologic condition. Most patients are successfully treated, with a resolution of hemorrhagic cystitis. However, long-term effects on the bladder may include increased bladder fibrosis, reduced bladder capacity, and upper tract deterioration. Complications are unusual in patients with chemical cystitis. Wound problems, urinary anastomotic strictures and leaks, and bowel anastomosis problems are more common in patients who have undergone a urinary diversion procedure after radiation therapy. [90, 91] Patients with severe hemorrhagic cystitis refractory to medical intervention are at an increased risk for mortality. Payne H, Adamson A, Bahl A, Borwell J, Dodds D, Heath C, et al. Chemical- and radiation-induced haemorrhagic cystitis: current treatments and challenges. BJU Int. 2013 Nov. 112 (7):885-97. [Medline]. [Full Text]. Avidor Y, Nadu A, Matzkin H. Clinical significance of gross hematuria and its evaluation in patients receiving anticoagulant and aspirin treatment. Urology. 2000 Jan. 55(1):22-4. [Medline]. deVries CR, Freiha FS. Hemorrhagic cystitis: a review. J Urol. 1990 Jan. 143(1):1-9. [Medline]. Haldar S, Dru C, Bhowmick NA. Mechanisms of hemorrhagic cystitis. Am J Clin Exp Urol. 2014. 2 (3):199-208. [Medline]. Corman JM, McClure D, Pritchett R, Kozlowski P, Hampson NB. Treatment of radiation induced hemorrhagic cystitis with hyperbaric oxygen. J Urol. 2003 Jun. 169(6):2200-2. [Medline]. Arad E, Naschitz J, Yeshurun D. [Hemorrhagic cystitis as a presenting symptom of acute infection with Salmonella typhi]. Harefuah. 1996 Jun 16. 130(12):815-6. [Medline]. Kok LP. Boon's disease: hemorrhagic cystitis in conjunction with massive exfoliation of degenerated urothelial cells (apoptosis?) during intercontinental flights in an otherwise healthy person. Diagn Cytopathol. 2001 Dec. 25(6):361-4. [Medline]. Cardinal J, Slade A, McFarland M, Keihani S, Hotaling JN, Myers JB. Scoping Review and Meta-analysis of Hyperbaric Oxygen Therapy for Radiation-Induced Hemorrhagic Cystitis. Curr Urol Rep. 2018 Apr 13. 19 (6):38. [Medline]. Klastersky J. Side effects of ifosfamide. Oncology. 2003. 65 Suppl 2:7-10. [Medline]. Russo P. Urologic emergencies in the cancer patient. Semin Oncol. 2000 Jun. 27(3):284-98. [Medline]. Walker RD. Cyclophosphamide induced hemorrhagic cystitis. J Urol. 1999 Jun. 161(6):1747. [Medline]. Stillwell TJ, Benson RC Jr. Cyclophosphamide-induced hemorrhagic cystitis. A review of 100 patients. Cancer. 1988 Feb 1. 61(3):451-7. [Medline]. Fernandes ET, Manivel JC, Reddy PK, Ercole CJ. Cyclophosphamide associated bladder cancer--a highly aggressive disease: analysis of 12 cases. J Urol. 1996 Dec. 156(6):1931-3. [Medline]. Robinson D, Schulz G, Langley R, Donze K, Winchester K, Rodgers C. Evidence-Based Practice Recommendations for Hydration in Children and Adolescents With Cancer Receiving Intravenous Cyclophosphamide. J Pediatr Oncol Nurs. 2014 May 5. 31(4):191-199. [Medline]. Turkeri LN, Lum LG, Uberti JP, Abella E, Momin F, Karanes C, et al. Prevention of hemorrhagic cystitis following allogeneic bone marrow transplant preparative regimens with cyclophosphamide and busulfan: role of continuous bladder irrigation. J Urol. 1995 Mar. 153(3 Pt 1):637-40. [Medline]. Lima MV, Ferreira FV, Macedo FY, de Castro Brito GA, Ribeiro RA. Histological changes in bladders of patients submitted to ifosfamide chemotherapy even with mesna prophylaxis. Cancer Chemother Pharmacol. 2007 Apr. 59(5):643-50. [Medline]. Ribeiro RA, Freitas HC, Campos MC, Santos CC, Figueiredo FC, Brito GA, et al. Tumor necrosis factor-alpha and interleukin-1beta mediate the production of nitric oxide involved in the pathogenesis of ifosfamide induced hemorrhagic cystitis in mice. J Urol. 2002 May. 167(5):2229-34. [Medline]. Watson RA. Ifosfamide: chemotherapy with new promise and new problems for the urologist. Urology. 1984 Nov. 24(5):465-8. [Medline]. Marx CM, Alpert SE. Ticarcillin-induced cystitis. Cross-reactivity with related penicillins. Am J Dis Child. 1984 Jul. 138(7):670-2. [Medline]. Bracis R, Sanders CV, Gilbert DN. Methicillin hemorrhagic cystitis. Antimicrob Agents Chemother. 1977 Sep. 12(3):438-9. [Medline]. [Full Text]. Kim MK, Kang CK, Kim MJ, Jun KI, Lee YK, Jeong SJ, et al. Penicillin G-induced hemorrhagic cystitis: a case and review of the literature. Korean J Intern Med. 2013 Nov. 28 (6):743-5. [Medline]. [Full Text]. Andriole GL, Brickman C, Lack EE, Sesterhenn IA, Javadpour N, Linehan WM, et al. Danazol-induced cystitis: an undescribed source of hematuria in patients with hereditary angioneurotic edema. J Urol. 1986 Jan. 135(1):44-6. [Medline]. Islam R, Isaacson BJ, Zickerman PM, Ratanawong C, Tipping SJ. Hemorrhagic cystitis as an unexpected adverse reaction to temozolomide: case report. Am J Clin Oncol. 2002 Oct. 25(5):513-4. [Medline]. Komiya I, Nojiri M, Kuriya S, Saito Y. Hemorrhagic cystitis caused by bleomycin treatment. Jpn J Med. 1991 Jul-Aug. 30(4):392. [Medline]. Crawford ML, Waller PC, Wood SM. Severe cystitis associated with tiaprofenic acid. Br J Urol. 1997 Apr. 79(4):578-84. [Medline]. Bramble FJ, Morley R. Cystitis associated with allopurinol. Br J Urol. 1997 May. 79(5):817. [Medline]. Goldfarb M, Finelli R. Necrotizing cystitis. Secondary to "bootleg" methaqualone. Urology. 1974 Jan. 3(1):54-5. [Medline]. Ross RR Jr, Conway GF. Hemorrhagic cystitis following accidental overdose of methenamine mandelate. Am J Dis Child. 1970 Jan. 119(1):86-7. [Medline]. Christmas TJ, Chapple CR, Payne SD, Milroy EJ, Warwick RT. Bonney's blue cystitis: a warning. Br J Urol. 1989 Mar. 63(3):281-3. [Medline]. Kim YJ, Kim DW, Lee DG, Park ST, Park YH, Min CK, et al. Human herpesvirus-6 as a possible cause of encephalitis and hemorrhagic cystitis after allogeneic hematopoietic stem cell transplantation. Leukemia. 2002 May. 16(5):958-9. [Medline]. Kim SJ, Koh DH, Park JS, Ahn HS, Choi JB, Kim YS. Hemorrhagic cystitis due to intravesical instillation of gentian violet completely recovered with conservative therapy. Yonsei Med J. 2003 Feb. 44(1):163-5. [Medline]. Walsh C, Walsh A. Haemorrhagic cystitis due to gentian violet. Br Med J (Clin Res Ed). 1986 Sep 20. 293(6549):732. [Medline]. [Full Text]. Mayersak JS, Viviano CJ. Severe chemical cystitis from the transurethral intravesical insertion of a vaginal contraceptive suppository: a report of 3 cases and proposed method of management. J Urol. 1993 Apr. 149(4):835-7. [Medline]. Pliskin MJ, Dresner ML. Inadvertent urethral insertion of a contraceptive suppository. J Urol. 1988 May. 139(5):1049-50. [Medline]. Osorio AV, Simckes AM, Hellerstein S. Hemorrhagic cystitis caused by acetic acid instillation. J Urol. 1996 Feb. 155(2):685. [Medline]. Hudson RG, Cain MP. Risperidone associated hemorrhagic cystitis. J Urol. 1998 Jul. 160(1):159. [Medline]. Konety BR, Carroll PR. Urothelial Carcinoma: Cancers of the Bladder, Ureter, and Renal Pelvis. McAninch JW, Lue TF, eds. Smith & Tanagho's General Urology. 18th ed. New York, NY: McGraw-Hill/Lange; 2013. 310-29. Boldorini R, Veggiani C, Barco D, Monga G. Kidney and urinary tract polyomavirus infection and distribution: molecular biology investigation of 10 consecutive autopsies. Arch Pathol Lab Med. 2005 Jan. 129(1):69-73. [Medline]. Boubenider S, Hiesse C, Marchand S, Hafi A, Kriaa F, Charpentier B. Post-transplantation polyomavirus infections. J Nephrol. 1999 Jan-Feb. 12(1):24-9. [Medline]. El-Zimaity M, Saliba R, Chan K, Shahjahan M, Carrasco A, Khorshid O, et al. Hemorrhagic cystitis after allogeneic hematopoietic stem cell transplantation: donor type matters. Blood. 2004 Jun 15. 103(12):4674-80. [Medline]. Hirsch HH. BK virus: opportunity makes a pathogen. Clin Infect Dis. 2005 Aug 1. 41(3):354-60. [Medline]. Kapelushnik J, Verstandig A, Or R, Meretyk S, Drakos P, Naparstek E, et al. Hydronephrosis in children after bone marrow transplantation: case reports. Bone Marrow Transplant. 1996 May. 17(5):873-5. [Medline]. Singh D, Kiberd B, Gupta R, Alkhudair W, Lawen J. Polyoma virus-induced hemorrhagic cystitis in renal transplantation patient with polyoma virus nephropathy. Urology. 2006 Feb. 67(2):423.e11-423.e12. [Medline]. Tomonari A, Takahashi S, Ooi J, Fukuno K, Takasugi K, Tsukada N, et al. Hemorrhagic cystitis in adults after unrelated cord blood transplantation: a single-institution experience in Japan. Int J Hematol. 2006 Oct. 84(3):268-71. [Medline]. Tsuboi K, Kishi K, Ohmachi K, Yasuda Y, Shimizu T, Inoue H, et al. Multivariate analysis of risk factors for hemorrhagic cystitis after hematopoietic stem cell transplantation. Bone Marrow Transplant. 2003 Nov. 32(9):903-7. [Medline]. Yang CC, Hurd DD, Case LD, Assimos DG. Hemorrhagic cystitis in bone marrow transplantation. Urology. 1994 Sep. 44(3):322-8. [Medline]. Shakiba E, Yaghobi R, Ramzi M. Prevalence of viral infections and hemorrhagic cystitis in hematopoietic stem cell transplant recipients. Exp Clin Transplant. 2011 Dec. 9(6):405-12. [Medline]. Bogdanovic G, Priftakis P, Giraud G, Kuzniar M, Ferraldeschi R, Kokhaei P, et al. Association between a high BK virus load in urine samples of patients with graft-versus-host disease and development of hemorrhagic cystitis after hematopoietic stem cell transplantation. J Clin Microbiol. 2004 Nov. 42(11):5394-6. [Medline]. [Full Text]. Azzi A, Ciappi S, De Santis R, Fanci R, Leoni F, Colli S, et al. Hemorrhagic cystitis associated with BKV in patients with refractory acute lymphoblastic leukemia. Am J Hematol. 1996 Jun. 52(2):121-2. [Medline]. Azzi A, Fanci R, Bosi A, Ciappi S, Zakrzewska K, de Santis R, et al. Monitoring of polyomavirus BK viruria in bone marrow transplantation patients by DNA hybridization assay and by polymerase chain reaction: an approach to assess the relationship between BK viruria and hemorrhagic cystitis. Bone Marrow Transplant. 1994 Aug. 14(2):235-40. [Medline]. Bedi A, Miller CB, Hanson JL, Goodman S, Ambinder RF, Charache P, et al. Association of BK virus with failure of prophylaxis against hemorrhagic cystitis following bone marrow transplantation. J Clin Oncol. 1995 May. 13(5):1103-9. [Medline]. Erard V, Kim HW, Corey L, Limaye A, Huang ML, Myerson D, et al. BK DNA viral load in plasma: evidence for an association with hemorrhagic cystitis in allogeneic hematopoietic cell transplant recipients. Blood. 2005 Aug 1. 106(3):1130-2. [Medline]. [Full Text]. Erard V, Storer B, Corey L, Nollkamper J, Huang ML, Limaye A, et al. BK virus infection in hematopoietic stem cell transplant recipients: frequency, risk factors, and association with postengraftment hemorrhagic cystitis. Clin Infect Dis. 2004 Dec 15. 39(12):1861-5. [Medline]. Giraud G, Bogdanovic G, Priftakis P, Remberger M, Svahn BM, Barkholt L, et al. The incidence of hemorrhagic cystitis and BK-viruria in allogeneic hematopoietic stem cell recipients according to intensity of the conditioning regimen. Haematologica. 2006 Mar. 91(3):401-4. [Medline]. Mylonakis E, Goes N, Rubin RH, Cosimi AB, Colvin RB, Fishman JA. BK virus in solid organ transplant recipients: an emerging syndrome. Transplantation. 2001 Nov 27. 72(10):1587-92. [Medline]. Priftakis P, Bogdanovic G, Kokhaei P, Mellstedt H, Dalianis T. BK virus (BKV) quantification in urine samples of bone marrow transplanted patients is helpful for diagnosis of hemorrhagic cystitis, although wide individual variations exist. J Clin Virol. 2003 Jan. 26(1):71-7. [Medline]. Schneidewind L, Neumann T, Kranz J, Knoll F, Pelzer AE, Schmidt C, et al. Nationwide survey of BK polyomavirus associated hemorrhagic cystitis in adult allogeneic stem cell transplantation among haematologists and urologists. Ann Hematol. 2017 May. 96 (5):797-803. [Medline]. Mori Y, Miyamoto T, Kato K, et al. Different risk factors related to adenovirus- or BK virus-associated hemorrhagic cystitis following allogeneic stem cell transplantation. Biol Blood Marrow Transplant. 2011 Jul 31. [Medline]. Haines HL, Laskin BL, Goebel J, et al. Blood, and not urine, BK viral load predicts renal outcome in children with hemorrhagic cystitis following hematopoietic stem cell transplantation. Biol Blood Marrow Transplant. 2011 Oct. 17(10):1512-9. [Medline]. Hatakeyama N, Suzuki N, Yamamoto M, Kuroiwa Y, Hori T, Mizue N, et al. Detection of BK virus and adenovirus in the urine from children after allogeneic stem cell transplantation. Pediatr Infect Dis J. 2006 Jan. 25(1):84-5. [Medline]. Hofland CA, Eron LJ, Washecka RM. Hemorrhagic adenovirus cystitis after renal transplantation. Transplant Proc. 2004 Dec. 36(10):3025-7. [Medline]. Ison MG. Adenovirus infections in transplant recipients. Clin Infect Dis. 2006 Aug 1. 43(3):331-9. [Medline]. Koga S, Shindo K, Matsuya F, Hori T, Kanda S, Kanetake H. Acute hemorrhagic cystitis caused by adenovirus following renal transplantation: review of the literature. J Urol. 1993 Apr. 149(4):838-9. [Medline]. Lee HJ, Pyo JW, Choi EH, Ha IS, Cheong HI, Choi Y, et al. Isolation of adenovirus type 7 from the urine of children with acute hemorrhagic cystitis. Pediatr Infect Dis J. 1996 Jul. 15(7):633-4. [Medline]. Mori T, Aisa Y, Shimizu T, Ikeda Y, Okamoto S, Okada K, et al. Hemorrhagic cystitis caused by adenovirus type 34 after allogeneic bone marrow transplantation. Transplantation. 2005 Mar 15. 79(5):624. [Medline]. Umekawa T, Kurita T. Acute hemorrhagic cystitis by adenovirus type 11 with and without type 37 after kidney transplantation. Urol Int. 1996. 56(2):114-6. [Medline]. Spach DH, Bauwens JE, Myerson D, Mustafa MM, Bowden RA. Cytomegalovirus-induced hemorrhagic cystitis following bone marrow transplantation. Clin Infect Dis. 1993 Jan. 16(1):142-4. [Medline]. Tutuncuoglu SO, Yanovich S, Ozdemirli M. CMV-induced hemorrhagic cystitis as a complication of peripheral blood stem cell transplantation: case report. Bone Marrow Transplant. 2005 Aug. 36(3):265-6. [Medline]. Focosi D, Kast RE. Hyaluronate and risperidone for hemorrhagic cystitis. Bone Marrow Transplant. 2007 Jan. 39(1):57. [Medline]. McClanahan C, Grimes MM, Callaghan E, Stewart J. Hemorrhagic cystitis associated with herpes simplex virus. J Urol. 1994 Jan. 151(1):152-3. [Medline]. Nguyen ML, Borochovitz D, Thomas G, McClure T, Ruben FL. 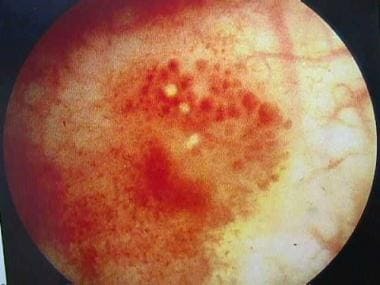 Hemorrhagic cystitis with herpes simplex virus type 2 in the bladder mucosa. Clin Infect Dis. 1992 Mar. 14(3):767-8. [Medline]. Barouch DH, Faquin WC, Chen Y, Koralnik IJ, Robbins GK, Davis BT. BK virus-associated hemorrhagic cystitis in a Human Immunodeficiency Virus-infected patient. Clin Infect Dis. 2002 Aug 1. 35(3):326-9. [Medline]. Geetha D, Tong BC, Racusen L, Markowitz JS, Westra WH. Bladder carcinoma in a transplant recipient: evidence to implicate the BK human polyomavirus as a causal transforming agent. Transplantation. 2002 Jun 27. 73(12):1933-6. [Medline]. Cannon J, Linke CA, Cos LR. Cyclophosphamide-associated carcinoma of urothelium: modalities for prevention. Urology. 1991 Nov. 38(5):413-6. [Medline]. Efros M, Ahmed T, Choudhury M. Cyclophosphamide-induced hemorrhagic pyelitis and ureteritis associated with cystitis in marrow transplantation. J Urol. 1990 Nov. 144(5):1231-2. [Medline]. Fairchild WV, Spence CR, Solomon HD, Gangai MP. The incidence of bladder cancer after cyclophosphamide therapy. J Urol. 1979 Aug. 122(2):163-4. [Medline]. Ratliff TR, Williams RD. Hemorrhagic cystitis, chemotherapy, and bladder toxicity. J Urol. 1998 Mar. 159(3):1044. [Medline]. Mathews R, Rajan N, Josefson L, Camporesi E, Makhuli Z. Hyperbaric oxygen therapy for radiation induced hemorrhagic cystitis. J Urol. 1999 Feb. 161(2):435-7. [Medline]. Uhm J, Hamad N, Michelis FV, Shanavas M, Kuruvilla J, Gupta V, et al. The risk of polyomavirus BK-associated hemorrhagic cystitis after allogeneic hematopoietic SCT is associated with myeloablative conditioning, CMV viremia and severe acute GVHD. Bone Marrow Transplant. 2014 Aug 11. [Medline]. Ruggeri A, Roth-Guepin G, Battipaglia G, Mamez AC, Malard F, et al. Incidence and risk factors for hemorrhagic cystitis in unmanipulated haploidentical transplant recipients. Transpl Infect Dis. 2015 Sep 9. [Medline]. Lunde LE, Dasaraju S, Cao Q, Cohn CS, Reding M, et al. Hemorrhagic cystitis after allogeneic hematopoietic cell transplantation: risk factors, graft source and survival. Bone Marrow Transplant. 2015 Jul 13. [Medline]. Riachy E, Krauel L, Rich BS, McEvoy MP, Honeyman JN, Boulad F, et al. Risk factors and predictors of severity score and complications of pediatric hemorrhagic cystitis. J Urol. 2014 Jan. 191(1):186-92. [Medline]. Au JK, Graziano C, Elizondo RA, Ryan S, Roth DR, Koh CJ, et al. Urologic Outcomes of Children With Hemorrhagic Cystitis After Bone Marrow Transplant at a Single Institution. Urology. 2017 Mar. 101:126-132. [Medline]. McCarville MB, Hoffer FA, Gingrich JR, Jenkins JJ 3rd. Imaging findings of hemorrhagic cystitis in pediatric oncology patients. Pediatr Radiol. 2000 Mar. 30(3):131-8. [Medline]. Decker DB, Karam JA, Wilcox DT. Pediatric hemorrhagic cystitis. J Pediatr Urol. 2009 Aug. 5(4):254-64. [Medline]. Yildiz H, Ercan E, Demirer Z. Evaluation of Hyperbaric Oxygen Therapy in the Treatment of Radiation-induced Hemorrhagic Cystitis. Urology. 2016 Jun 27. [Medline]. Dautruche A, Delouya G. A contemporary review about the management of radiation-induced hemorrhagic cystitis. Curr Opin Support Palliat Care. 2018 Sep. 12 (3):344-350. [Medline]. Quinlan DM, Naslund MJ, Brendler CB. Application of argon beam coagulation in urological surgery. J Urol. 1992 Feb. 147(2):410-2. [Medline]. Ouwenga MK, Langston MD, Campbell SC. Use of fibrin sealant in recalcitrant hemorrhagic cystitis. J Urol. 2004 Oct. 172(4 Pt 1):1348. [Medline]. Purves JT, Graham ML, Ramakumar S. Application of fibrin glue to damaged bladder mucosa in a case of BK viral hemorrhagic cystitis. Urology. 2005 Sep. 66(3):641-3. [Medline]. Tirindelli MC, Flammia GP, Bove P, Cerretti R, Cudillo L, De Angelis G, et al. Fibrin Glue Therapy for Severe Hemorrhagic Cystitis after Allogeneic Hematopoietic Stem Cell Transplantation. Biol Blood Marrow Transplant. 2014 Jun 20. [Medline]. Gomes TN, Santos CC, Souza-Filho MV, Cunha FQ, Ribeiro RA. Participation of TNF-alpha and IL-1 in the pathogenesis of cyclophosphamide-induced hemorrhagic cystitis. Braz J Med Biol Res. 1995 Oct. 28(10):1103-8. [Medline]. Lakhani A, Raptis A, Frame D, Simpson D, Berkahn L, Mellon-Reppen S, et al. Intravesicular instillation of E-aminocaproic acid for patients with adenovirus-induced hemorrhagic cystitis. Bone Marrow Transplant. 1999 Dec. 24(11):1259-60. [Medline]. Perazella M, Brown E. Acute aluminum toxicity and alum bladder irrigation in patients with renal failure. Am J Kidney Dis. 1993 Jan. 21(1):44-6. [Medline]. Ippoliti C, Przepiorka D, Mehra R, Neumann J, Wood J, Claxton D, et al. Intravesicular carboprost for the treatment of hemorrhagic cystitis after marrow transplantation. Urology. 1995 Dec. 46(6):811-5. [Medline]. Laszlo D, Bosi A, Guidi S, Saccardi R, Vannucchi AM, Lombardini L, et al. Prostaglandin E2 bladder instillation for the treatment of hemorrhagic cystitis after allogeneic bone marrow transplantation. Haematologica. 1995 Sep-Oct. 80(5):421-5. [Medline]. Levine LA, Jarrard DF. Treatment of cyclophosphamide-induced hemorrhagic cystitis with intravesical carboprost tromethamine. J Urol. 1993 Apr. 149(4):719-23. [Medline]. Levine LA, Kranc DM. Evaluation of carboprost tromethamine in the treatment of cyclophosphamide-induced hemorrhagic cystitis. Cancer. 1990 Jul 15. 66(2):242-5. [Medline]. Trigg ME, O'Reilly J, Rumelhart S, Morgan D, Holida M, de Alarcon P. Prostaglandin E1 bladder instillations to control severe hemorrhagic cystitis. J Urol. 1990 Jan. 143(1):92-4. [Medline]. Ziegelmann MJ, Boorjian SA, Joyce DD, Montgomery BD, Linder BJ. Intravesical formalin for hemorrhagic cystitis: A contemporary cohort. Can Urol Assoc J. 2017 Mar-Apr. 11 (3-4):E79-E82. [Medline]. [Full Text]. Donahue LA, Frank IN. Intravesical formalin for hemorrhagic cystitis: analysis of therapy. J Urol. 1989 Apr. 141(4):809-12. [Medline]. Fu LW, Chen WP, Wang HH, Lin AT, Lin CY. Formalin treatment of refractory hemorrhagic cystitis in systemic lupus erythematosus. Pediatr Nephrol. 1998 Nov. 12(9):788-9. [Medline]. Sarnak MJ, Long J, King AJ. Intravesicular formaldehyde instillation and renal complications. Clin Nephrol. 1999 Feb. 51(2):122-5. [Medline]. Vicente J, Rios G, Caffaratti J. Intravesical formalin for the treatment of massive hemorrhagic cystitis: retrospective review of 25 cases. Eur Urol. 1990. 18(3):204-6. [Medline]. Redman JF, Kletzel M. Cutaneous vesicostomy with direct intravesical application of formalin: management of severe vesical hemorrhage resulting from high dose cyclophosphamide in boys. J Urol. 1994 Apr. 151(4):1048-50. [Medline]. Batista CK, Mota JM, Souza ML, Leitão BT, Souza MH, Brito GA, et al. Amifostine and glutathione prevent ifosfamide- and acrolein-induced hemorrhagic cystitis. Cancer Chemother Pharmacol. 2007 Jan. 59(1):71-7. [Medline]. Srivastava A, Nair SC, Srivastava VM, Balamurugan AN, Jeyaseelan L, Chandy M, et al. Evaluation of uroprotective efficacy of amifostine against cyclophosphamide induced hemorrhagic cystitis. Bone Marrow Transplant. 1999 Mar. 23(5):463-7. [Medline]. Dall'Era MA, Hampson NB, Hsi RA, Madsen B, Corman JM. Hyperbaric oxygen therapy for radiation induced proctopathy in men treated for prostate cancer. J Urol. 2006 Jul. 176(1):87-90. [Medline]. Furness PD 3rd, Palmer LS, Palmer JS, Capelli-Schellpfeffer M, Cheng EY. Hyperbaric oxygen therapy for pediatric hemorrhagic cystitis. J Urol. 1999 May. 161(5):1596-7. [Medline]. Dellis A, Papatsoris A, Kalentzos V, Deliveliotis C, Skolarikos A. Hyberbaric oxygen as sole treatment for severe radiation - induced haemorrhagic cystitis. Int Braz J Urol. 2017 May-Jun. 43 (3):489-495. [Medline]. [Full Text]. Weiss JP, Mattei DM, Neville EC, Hanno PM. Primary treatment of radiation-induced hemorrhagic cystitis with hyperbaric oxygen: 10-year experience. J Urol. 1994 Jun. 151(6):1514-7. [Medline]. Liu YK, Harty JI, Steinbock GS, Holt HA Jr, Goldstein DH, Amin M. Treatment of radiation or cyclophosphamide induced hemorrhagic cystitis using conjugated estrogen. J Urol. 1990 Jul. 144(1):41-3. [Medline]. Veerasarn V, Khorprasert C, Lorvidhaya V, Sangruchi S, Tantivatana T, Narkwong L, et al. Reduced recurrence of late hemorrhagic radiation cystitis by WF10 therapy in cervical cancer patients: a multicenter, randomized, two-arm, open-label trial. Radiother Oncol. 2004 Nov. 73(2):179-85. [Medline]. Ehrlich RM, Freedman A, Goldsobel AB, Stiehm ER. The use of sodium 2-mercaptoethane sulfonate to prevent cyclophosphamide cystitis. J Urol. 1984 May. 131(5):960-2. [Medline]. Goren MP, McKenna LM, Goodman TL. Combined intravenous and oral mesna in outpatients treated with ifosfamide. Cancer Chemother Pharmacol. 1997. 40(5):371-5. [Medline]. Habs MR, Schmähl D. Prevention of urinary bladder tumors in cyclophosphamide-treated rats by additional medication with the uroprotectors sodium 2-mercaptoethane sulfonate (mesna) and disodium 2,2'-dithio-bis-ethane sulfonate (dimesna). Cancer. 1983 Feb 15. 51(4):606-9. [Medline]. Kanat O, Kurt E, Yalcinkaya U, Evrensel T, Manavoglu O. Comparison of uroprotective efficacy of mesna and amifostine in Cyclophosphamide- induced hemorrhagic cystitis in rats. Indian J Cancer. 2006 Jan-Mar. 43(1):12-5. [Medline]. Khojasteh NH, Zakerinia M, Ramzi M, Haghshenas M. A new regimen of MESNA (2-mercaptoethanesulfonate) effectively prevents cyclophosphamide-induced hemorrhagic cystitis in bone marrow transplant recipients. Transplant Proc. 2000 May. 32(3):596. [Medline]. Morais MM, Belarmino-Filho JN, Brito GA, Ribeiro RA. Pharmacological and histopathological study of cyclophosphamide-induced hemorrhagic cystitis - comparison of the effects of dexamethasone and Mesna. Braz J Med Biol Res. 1999 Oct. 32(10):1211-5. [Medline]. Toren PJ, Norman RW. 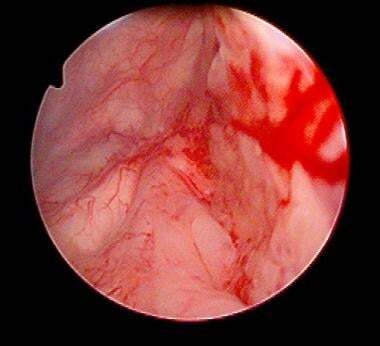 Cyclophosphamide induced hemorrhagic cystitis successfully treated with pentosanpolysulphate. J Urol. 2005 Jan. 173(1):103. [Medline]. Matz EL, Hsieh MH. Review of Advances in Uroprotective Agents for Cyclophosphamide- and Ifosfamide-induced Hemorrhagic Cystitis. Urology. 2016 Aug 24. [Medline]. Vieira MM, Brito GA, Belarmino-Filho JN, Macedo FY, Nery EA, Cunha FQ, et al. Use of dexamethasone with mesna for the prevention of ifosfamide-induced hemorrhagic cystitis. Int J Urol. 2003 Nov. 10(11):595-602. [Medline]. Heath JA, Mishra S, Mitchell S, Waters KD, Tiedemann K. Estrogen as treatment of hemorrhagic cystitis in children and adolescents undergoing bone marrow transplantation. Bone Marrow Transplant. 2006 Mar. 37(5):523-6. [Medline]. Kopterides P, Theodorakopoulou M, Mentzelopoulos S, Armaganidis A. Cyclophosphamide-induced hemorrhagic cystitis successfully treated with conjugated estrogens. Am J Hematol. 2005 Oct. 80(2):166-7. [Medline]. Bratsas KS, Stephanides AA, Spyropoulos E, Zachariades BP, Androulakakis PA. Hyperbaric oxygen therapy for cyclophosphamide induced refractory hemorrhagic cystitis in a child. J Urol. 2004 Aug. 172(2):679. [Medline]. Chow YC, Yang S, Huang CJ, Tzen CY, Huang PL, Su YH, et al. Epinephrine promotes hemostasis in rats with cyclophosphamide-induced hemorrhagic cystitis. Urology. 2006 Mar. 67(3):636-41. [Medline]. Yigitaslan S, Ozatik O, Ozatik FY, Erol K, Sirmagul B, Baseskioglu AB. Effects of tadalafil on hemorrhagic cystitis and testicular dysfunction induced by cyclophosphamide in rats. Urol Int. 2014. 93(1):55-62. [Medline]. Farshid AA, Tamaddonfard E, Ranjbar S. Oral administration of vitamin C and histidine attenuate cyclophosphamide-induced hemorrhagic cystitis in rats. Indian J Pharmacol. 2013 Mar-Apr. 45(2):126-9. [Medline]. [Full Text]. Abo-Salem OM. Uroprotective effect of pentoxifylline in cyclophosphamide-induced hemorrhagic cystitis in rats. J Biochem Mol Toxicol. 2013 Jul. 27(7):343-50. [Medline]. Fanourgiakis P, Georgala A, Vekemans M, Triffet A, De Bruyn JM, Duchateau V, et al. Intravesical instillation of cidofovir in the treatment of hemorrhagic cystitis caused by adenovirus type 11 in a bone marrow transplant recipient. Clin Infect Dis. 2005 Jan 1. 40(1):199-201. [Medline]. Hatakeyama N, Suzuki N, Kudoh T, Hori T, Mizue N, Tsutsumi H. Successful cidofovir treatment of adenovirus-associated hemorrhagic cystitis and renal dysfunction after allogenic bone marrow transplant. Pediatr Infect Dis J. 2003 Oct. 22(10):928-9. [Medline]. Held TK, Biel SS, Nitsche A, Kurth A, Chen S, Gelderblom HR, et al. Treatment of BK virus-associated hemorrhagic cystitis and simultaneous CMV reactivation with cidofovir. Bone Marrow Transplant. 2000 Aug. 26(3):347-50. [Medline]. Kitabayashi A, Hirokawa M, Kuroki J, Nishinari T, Niitsu H, Miura AB. Successful vidarabine therapy for adenovirus type 11-associated acute hemorrhagic cystitis after allogeneic bone marrow transplantation. Bone Marrow Transplant. 1994 Nov. 14(5):853-4. [Medline]. Nagafuji K, Aoki K, Henzan H, Kato K, Miyamoto T, Eto T, et al. Cidofovir for treating adenoviral hemorrhagic cystitis in hematopoietic stem cell transplant recipients. Bone Marrow Transplant. 2004 Nov. 34(10):909-14. [Medline]. Seabra C, Pérez-Simón JA, Sierra M, Marcos JM, Caballero MD, de la Loma A, et al. Intra-muscular vidarabine therapy for polyomavirus-associated hemorrhagic cystitis following allogeneic hemopoietic stem cell transplantation. Bone Marrow Transplant. 2000 Dec. 26(11):1229-30. [Medline]. Yusuf U, Hale GA, Carr J, Gu Z, Benaim E, Woodard P, et al. Cidofovir for the treatment of adenoviral infection in pediatric hematopoietic stem cell transplant patients. Transplantation. 2006 May 27. 81(10):1398-404. [Medline]. Sakurada M, Kondo T, Umeda M, Kawabata H, Yamashita K, Takaori-Kondo A. Successful treatment with intravesical cidofovir for virus-associated hemorrhagic cystitis after allogeneic hematopoietic stem cell transplantation: A case report and a review of the literature. J Infect Chemother. 2016 Jul. 22 (7):495-500. [Medline]. Mo XD, Zhang XH, Xu LP, Wang Y, Yan CH, Chen H, et al. Treatment of late-onset hemorrhagic cystitis after allogeneic hematopoietic stem cell transplantation: the role of corticosteroids. Ann Hematol. 2018 Jul. 97 (7):1209-1217. [Medline]. Schneidewind L, Neumann T, Schmidt CA, Krüger W. Comparison of intravenous or intravesical cidofovir in the treatment of BK polyomavirus-associated hemorrhagic cystitis following adult allogeneic stem cell transplantation-A systematic review. Transpl Infect Dis. 2018 Aug. 20 (4):e12914. [Medline]. Coomes EA, Wolfe Jacques A, Michelis FV, Kim DDH, Thyagu S, Viswabandya A, et al. Efficacy of Cidofovir in Treatment of BK Virus-Induced Hemorrhagic Cystitis in Allogeneic Hematopoietic Cell Transplant Recipients. Biol Blood Marrow Transplant. 2018 Sep. 24 (9):1901-1905. [Medline]. Iavazzo C, Athanasiou S, Pitsouni E, Falagas ME. Hyaluronic acid: an effective alternative treatment of interstitial cystitis, recurrent urinary tract infections, and hemorrhagic cystitis?. Eur Urol. 2007 Jun. 51(6):1534-40; discussion 1540-1. [Medline]. Leung AY, Chan MT, Yuen KY, Cheng VC, Chan KH, Wong CL, et al. Ciprofloxacin decreased polyoma BK virus load in patients who underwent allogeneic hematopoietic stem cell transplantation. Clin Infect Dis. 2005 Feb 15. 40(4):528-37. [Medline]. Okaneya T, Kontani K, Komiyama I, Takezaki T. Severe cyclophosphamide-induced hemorrhagic cystitis successfully treated by total cystectomy with ileal neobladder substitution: a case report. J Urol. 1993 Dec. 150(6):1909-10. [Medline]. Hadjibabaie M, Alimoghaddam K, Shamshiri AR, Iravani M, Bahar B, Mousavi A, et al. Continuous bladder irrigation prevents hemorrhagic cystitis after allogeneic hematopoietic cell transplantation. Urol Oncol. 2008 Jan-Feb. 26(1):43-6. [Medline]. Ashrani AA, Gabriel DA, Gajewski JL, Jacobs DR Jr, Weisdorf DJ, Key NS. Pilot study to test the efficacy and safety of activated recombinant factor VII (NovoSeven) in the treatment of refractory hemorrhagic cystitis following high-dose chemotherapy. Bone Marrow Transplant. 2006 Dec. 38(12):825-8. [Medline]. Blatt J, Gold SH, Wiley JM, Monahan PE, Cooper HC, Harvey D. Off-label use of recombinant factor VIIa in patients following bone marrow transplantation. Bone Marrow Transplant. 2001 Aug. 28(4):405-7. [Medline]. Demesmay K, Tissot E, Bulabois CE, Bertrand MA, Racadot E, Woronoff-Lemsi MC, et al. Factor XIII replacement in stem-cell transplant recipients with severe hemorrhagic cystitis: a report of four cases. Transplantation. 2002 Oct 27. 74(8):1190-2. [Medline]. Dorticós E, Pavón V, Jaime JC, Reboredo M, López Saura P, Berlanga J, et al. Successful application of epidermal growth factor for treatment of hemorrhagic cystitis after bone marrow transplantation. Bone Marrow Transplant. 2003 Apr. 31(7):615-6. [Medline]. Fazili T, Bhat TR, Masood S, Palmer JH, Mufti GR. Fate of the leftover bladder after supravesical urinary diversion for benign disease. J Urol. 2006 Aug. 176(2):620-1. [Medline]. Palandri F, Bonifazi F, Rossi C, Falcioni S, Arpinati M, Giannini MB, et al. Successful treatment of severe hemorrhagic cystitis with selective vesical artery embolization. Bone Marrow Transplant. 2005 Mar. 35(5):529-30. [Medline]. Giné E, Rovira M, Real I, Burrel M, Montaña J, Carreras E, et al. Successful treatment of severe hemorrhagic cystitis after hemopoietic cell transplantation by selective embolization of the vesical arteries. Bone Marrow Transplant. 2003 May. 31(10):923-5. [Medline]. Andriole GL, Yuan JJ, Catalona WJ. Cystotomy, temporary urinary diversion and bladder packing in the management of severe cyclophosphamide-induced hemorrhagic cystitis. J Urol. 1990 May. 143(5):1006-7. [Medline]. Baronciani D, Angelucci E, Erer B, Fabrizi G, Galimberti M, Giardini C, et al. Suprapubic cystotomy as treatment for severe hemorrhagic cystitis after bone marrow transplantation. Bone Marrow Transplant. 1995 Aug. 16(2):267-70. [Medline]. Sneiders A, Pryor JL. Percutaneous nephrostomy drainage in the treatment of severe hemorrhagic cystitis. J Urol. 1993 Sep. 150(3):966-7. [Medline]. Zagoria RJ, Hodge RG, Dyer RB, Routh WD. Percutaneous nephrostomy for treatment of intractable hemorrhagic cystitis. J Urol. 1993 Jun. 149(6):1449-51. [Medline]. Linder BJ, Tarrell RF, Boorjian SA. Cystectomy for Refractory Hemorrhagic Cystitis: Contemporary Etiology, Presentation and Outcomes. J Urol. 2014 Jun 14. [Medline]. Sèbe P, Garderet L, Traxer O, Nouri M, Gluckman E, Gattegno B. Subtotal cystectomy with ileocystoplasty for severe hemorrhagic cystitis after bone marrow transplantation. Urology. 2001 Jan. 57(1):168. [Medline]. Chen XC, Liu T, Li JJ, He C, Meng WT, Huang R. Efficacy and safety of leflunomide for the treatment of BK virus-associated hemorrhagic cystitis in allogeneic hematopoietic stem cell transplantation recipients. Acta Haematol. 2013. 130(1):52-6. [Medline]. Diagnosis algorithm. R/O = rule out; US = ultrasonography; VUR = vesicoureteral reflux. Management of hemorrhagic cystitis. PCN = percutaneous nephrostomy.